We had a Jeep Liberty that literally fell apart in the 2 years that we owned it. I wish I had stripped off the plastic kick plate (?) when we first got the thing. Here in North Central Vermont the plastics totally wrecked the rocker panels and made our Liberty a junkyard ornament. So now we have a 2004 Toyota Highlander. It came from a warmer Southern climate and was well cared for. It is a Limited version and has all the goodies including heated seats and a sun/moon roof. All we wanted was a good car with a clean body that wasn't about to die. I'm still learning about the Highlander so I am not exactly sure how this SUV qualifies as a 4x4, but that's what the tag says. So far we have gotten 17.5 MPG with combined driving so I'm a little confused as to why a 3.3 L V6 gets that kind of fuel mileage if not for the weather we've had and the use of 4x4 as needed. We've had it for about a month now and it rides like a cloud on pillows compared to the Liberty. I'm also glad to have room for my knees. If you have never had a Jeep Liberty, and you have the chance to drive one, give it a try. You'll appreciate your vehicle that much more. I suppose after 2 years you get really tired of things like that. I'm not sure if Moses would allow a Highlander addition to this sight, but it would be interesting to know what has been tried and what has been accomplished with the Highlander 4x4. If you drive one, let me know what you think, and about its longevity. Ours has just over 103,000 miles on it now. I can't wait to drive it this summer without the heated seats on. As a confession, we bought a new Jeep KJ Liberty in 2002. My wife actually liked some of its features and its driving ease. There were minuscule signs that Daimler's German engineering was present when the Liberty came to life. I was out from under the ether of the new car smell within the first 10,000 miles. The Liberty had it's share of recalls and could frighten a seasoned driver with its scary handling in a crosswind with a cargo rack on top. One round of spark plug changing on the 3.7L V-6 convinced me this was not a reasonable vehicle to service. It took tricks I had acquired in a lifetime of wrenching to remove and install the plugs. They fit at the inside (intake manifold side) of the cylinder heads: My tip for anyone changing 3.7L spark plugs is to use a piece of rubber fuel hose to hold the plug ceramic and start the threads; this will reduce the risk of cross-threading the spark plugs at this awkward position! 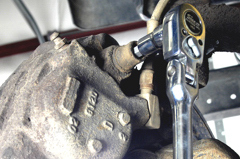 Vacuum around each spark plug before removing the plugs to prevent debris from falling into the cylinders. Convinced that this car-like 4x4 was not our cup of tea, by 2004 we were ready to part company with the Liberty—and willing to take the expected depreciation bath. Sale of the vehicle led to purchasing our Dodge Ram 3500 4x4 Quad-Cab (see the Member Photo Gallery), quite a contrast with its Cummins turbo diesel. Bought new (see my "Speaking Out!" blog for insights into what I think of buying new vehicles today), the Ram is a keeper at 165K miles. On a go-forward, we're perfectly content to buy and drive preowned vehicles. Over 80% of our vehicles have been preowned. All vehicles become "used" when they roll over the dealership's curb with a temporary registration on the windshield and a paper plate. 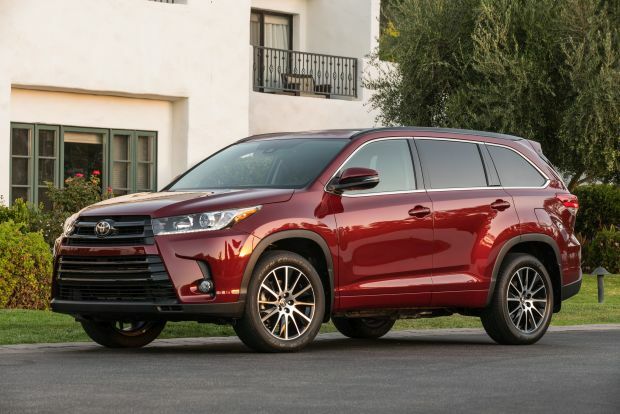 Pleased that you like your Highlander...Toyota quality! It's been a few months since I purchased my Highlander and I have a short term report to make. The vehicle is definitely capable in the snow. It would have been nice to have had more aggressive tires on it during the snow covered months. We got plenty of the cold white stuff this year and at one point I had to plow through a pile of snow left on the road by town road crews that were obviously having problems with the distribution of the fluffy white rain. There are some other quirks and issues that may belong only to my vehicle so I won't expound on them at this point. I guess at this point I'm more happy than bothered with this choice. It did come down to money and availability, so I can't say that I wouldn't have prefered another vehicle with a better 4wd pedigree, but the dealer had to do some serious repairs to it and the price was getting out of out hand for our comfort zone for a local vehicle. (Rusty or worse) At this point the reliability and features sure outweigh any pet peeve issues. It would be worth Google-ing the traction control issue, I'm sure others have experienced it, too. There may be a Toyota update or remedy. I would discuss the traction control system with your local dealership's service manager, he or she may have insight...Look to Consumer Report and possible NHTSA recalls related to the traction control.